Last night, I indulged in a delicious meal—and it was absolutely healthy! You see, while I wouldn’t say I follow one type of dietary lifestyle per se, I do tend to stick closer to the Mediterranean diet, considered by many people to be the healthiest diet on the planet. It seems to work for me. I’m eating fewer processed foods, and more vegetables that are fresh, local, and in season. The diet is full of good fats, like wild salmon and other oily fish, and I can even have the odd glass of wine with my meal. I mean, what’s not to love, right? But what sets the Mediterranean diet apart—and often what makes it so delicious—is that it’s rich in olive oil. Some proponents of the Mediterranean diet even compare olive oils to a fine wine—there is nothing like the aromatic, fruity, and refreshing taste of a quality olive oil from Greece or Italy! 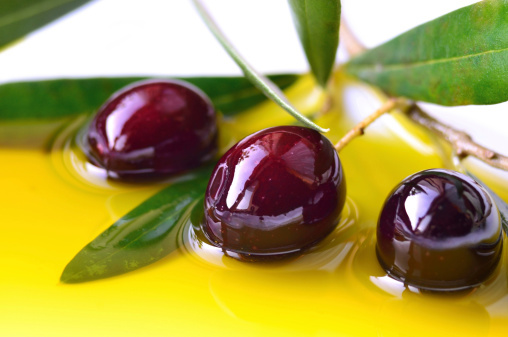 Olive oil is rooted in the history and tradition of many Mediterranean cultures. Throughout the years, it has benefited the likes of the Greeks, the Italians, and the Spaniards. In the process, it has helped reduce the risk of cardiovascular disease, Alzheimer’s disease, dementia, cancer, depression, osteoarthritis, and rheumatoid arthritis. Needless to say, olive oil should be part of any diet, regardless of whether or not you follow the Mediterranean lifestyle. Personally, I can’t get enough of the stuff! I use it in everything, from salad dressings to dips and pestos. I even cook with it. Yes, I know, there’s plenty of controversy over whether or not olive oil should be heated. The main thing is you don’t want to heat your olive oil past its smoke point. If this happens, harmful acrylamides may form, while the important substances and nutrients in the olive oil are lost due to oxidization. However, some people believe that you’d have to heat your oil for over an hour for that to happen. Extra virgin olive oil is usually the best olive oil you can get since there is no refining or manufacturing involved in the processing. Extra virgin olive oil has a smoke point of 410 degrees Fahrenheit, or 210 degrees Celsius. Virgin olive oil has a higher smoke point at 420 degrees Fahrenheit, or 215 degrees Celsius, and is thought to be the better oil for cooking. As long as you’re cooking on lower temperatures, though, the oil should be just fine. The next issue with olive oil then becomes what oil you choose in the first place. Make sure you avoid refined oils—at all costs. But that’s not the only factor to consider. 1) I always purchase olive oil that is cold pressed and sold in a dark bottle. If the bottle is clear—stay away. Light tends to make olive oil rancid and a clear bottle is a sure sign of poor quality. 2) Look for olive oil that is labeled with a family’s name and the address of the farm or estate where the olive oil was produced. This information represents the most direct trade between consumer and farmer. It allows for traceability and accountability, so you know exactly where the olive oil came from and the family holds itself legally liable and puts their reputation on the line. Oils that don’t contain this information were likely created in a factory where the best care for the production of the olive oil may not have been considered. The family also puts more care into the storage and production of the oil, which supports quality nutritional value. 3) Finally, look for the words “made in” on the label. This indicates that the olives were harvested and pressed in the same country. Labels that indicate “bottled in” or “imported from” tend to have a greater likelihood of being adulterated in some unhealthy way, so it’s better to avoid them. Murray, M., et al., The Encyclopedia of Natural Medicine (New York: Atria Paperback, 2012), 154. “Frying with olive oil,” International Olive Council web site; http://www.internationaloliveoil.org/estaticos/view/85-frying-with-olive-oil, last accessed July 23, 2015. “Myth Buster: Olive Oil is One of the Safest Oils for Frying and Cooking,” Health Impact News; http://healthimpactnews.com/2014/myth-buster-olive-oil-is-one-of-the-safest-oils-for-frying-and-cooking/, last accessed July 23, 2015.